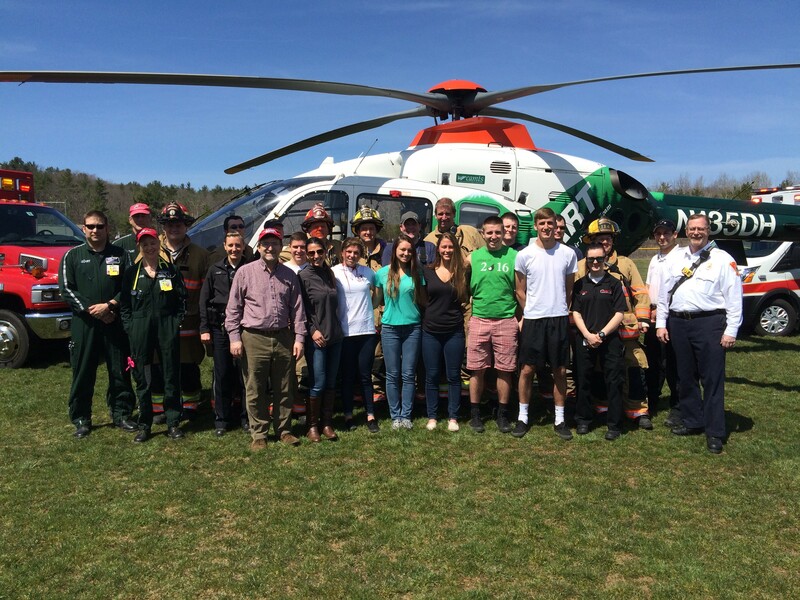 On Sunday, April 17th the Plaistow Fire Department, Plaistow Police Department and Dartmouth Hitchcock Advanced Response Team partnered with Timberlane Regional High School to create a “Fatal Reality” video that will be played for seniors during the week of Prom. The filming took place at Plaistow Athletic Recreation Fields and involved a demonstration of the effects of driving under the influence and other destructive decisions. Special thanks to Chief John McArdle, Captain Scott Vezina, Dean Zanello, Tim Lena and Heather Roy for organizing the event. Also, thank you to the men and women of the Plaistow Fire Department, Plaistow Police Department, Trinity Response team, Dartmouth Hitchcock and the students for volunteering their time on the weekend for this important event.